Serving families with caregiver referral services. Debbie was attracted to working for AmeriCare because she understands the needs and responsibilities of caregivers and the senior population in her community. Having some personal experience with taking care of her mother with dementia for several years, she is very aware of how much relief in-home care can bring to families. Debbie believes that the Lord has led her to AmeriCare so she can be a part of a team committed to finding and matching great caregivers to the seniors in Solano and neighboring counties. She is blessed with a wonderful husband of over 30 years, and two children who were both raised and reside in Solano County. Sally started her career in education in 1992. After twelve years of being a teacher and administrator at the secondary level, Sally left the field to spend more time with her four young children. With the Lord’s leading and direction, Sally and her husband opened the first AmeriCare in Solano County in 2005. 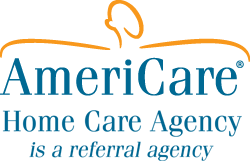 With the provision of great staff and caregivers, AmeriCare continues to grow. Sally finds joy in serving those who are in need and providing jobs for individuals in the community. She lives in Vacaville with her husband of 20 years and four children. Patti began volunteering at a Vacaville nursing home in 1991 which soon became full-time employment in the Activities Department. Sensing a calling to reach out to home-bound seniors in the community, she became a companion caregiver with AmeriCare in January of 2008. A few months later, she transitioned into working full time in the office as a Referral Specialist. Patti has a Bachelor of Science degree in Dietetics and is a Certified Senior Advisor. Patti and her husband have been married for over 30 years and have three adult children with families of their own. AmeriCare Home Care Agency refers caregivers to provide personalized in-home care services to families and adults of all ages in the cities of Vacaville, Fairfield, Vallejo, Benicia, Napa, Davis, Woodland, and surrounding areas. Interested in Becoming a Referred Caregiver? Referred Caregivers are ready to provide the care you need.